One of the biggest mistakes first time home buyers make is to search for a home that costs as much as a lender is willing to give them. A more expensive home means higher monthly payments; there is no need to stretch your budget in this way. Instead of looking for houses with prices close to your loan limit, look at homes that are at least 20 percent lower in price. In most cases, such a home will be more than adequate to suit your wants and needs. It is possible to get a loan without a high credit score. Even if your score is in the 700s, however, you shouldn't stop working to improve it. A higher credit score doesn't just affect your likelihood of getting approved for a loan. It also affects your interest rate. The higher your score, the lower the rate; the lower the rate, the lower your mortgage payments. A single point increase in your credit score can make a huge difference. In recent years, lenders have become much more flexible regarding their standards for offering loans. Instead of 20 percent, lenders are accepting much lower down payments. In rare cases, lenders are even accepting nothing down. The offer that you make should be based on one factor: the market value of the home. This is determined by the selling prices of similar houses in the area. To get the most up to date information, don't bother with real estate websites. Instead, look at local public records, which contain details about all recent home sales. If you have trouble figuring out how to navigate the public records system in your area, get help from your mortgage broker. You should not assume that a house is in good condition simply because you do not see any ostensible issues. Only a professional can accurately assess the condition of a home, so make sure to hire an inspector, no matter what the seller says about the property. That isn't to say that the seller will be lying to you, but there could be issues that they don't even know about. This may be the most important of all first time home buyer tips. 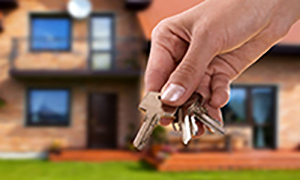 When buying a home, you need a mortgage broker to help you. They know how to navigate the loan process and they will make sure that you get the best possible deal. For more first time home buyer tips contact Mortgage Architects, Canada’s top mortgage broker, at 905.542.9100!